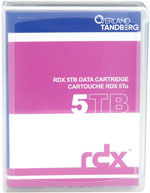 Tandberg Data is pleased to announce the release of 2TB RDX cartridges. 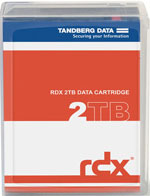 Tandberg Data is the first to announce the 2TB RDX cartridge. Breaking the 2TB capacity is a significant milestone. 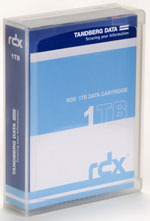 Tandberg Data is the technology owner and the market leader for RDX products. 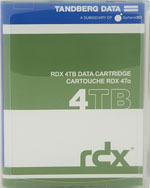 More than 580,000 RDX removable disk systems and 1.9 million RDX cartridges have been sold worldwide. Purchase 10 or more Tandberg Data RDX 2TB Cart's and get: (1) External USB 3+ Docking Station for FREE! Now through March 15, 2019 while stocks last. The Tandberg Data RDX QuikStor is a disk-based storage system with removable cartridges that offers rugged, reliable and convenient storage, ideal for the SOHO and SMB market. It combines the benefits of tape with the benefits of disk, all at a competitive price. 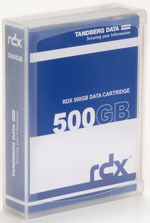 The RDX QuikStor provides fast transfer rates of up to 330MB/s and users can select between 500GB, 1TB, 2TB, 3TB, 4TB and 5TB HDD RDX cartridge capacities, and 64GB, 128GB, 256GB and 512GB SSD RDX cartridge capacities. Portable, removable cartridges are the only guaranteed way to protect against fire, theft and viruses. The 3-year warranty and a rugged, shockproof design means your data remains protected even under the most extreme conditions. Write and read access is near-instant allowing users to work directly with the data on the cartridge like one would with any other hard disk drive. 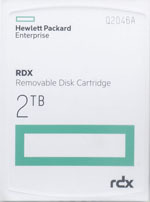 With capacities of 500GB, 1TB, 1.5TB or 2TB on a hard disk cartridge, you have enough capacity to support a wide range of storage requirements, ensuring your data is fully protected.